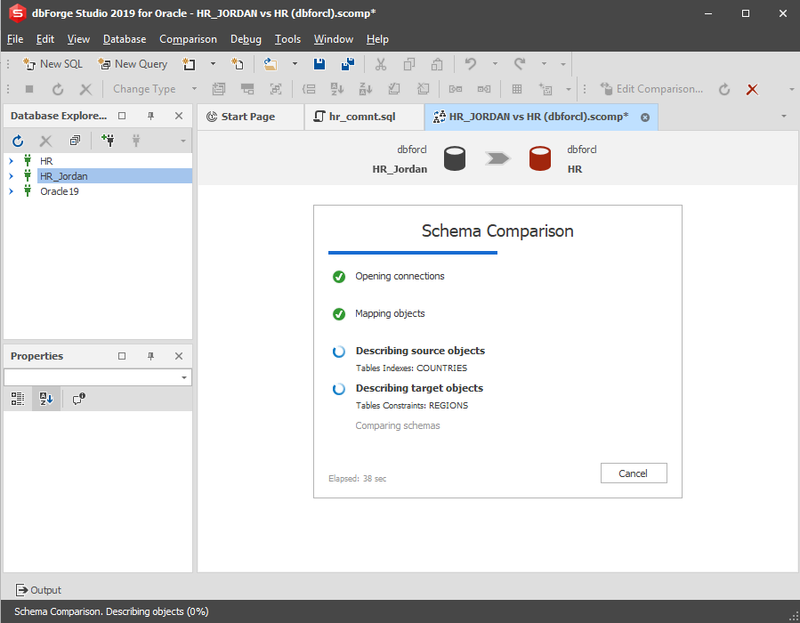 We are glad to announce that dbForge Studio for Oracle has just seen a new 4.1 update introducing a new skin, support for Oracle 19c, AutoCommit mode and dramatically improved schema comparison performance. 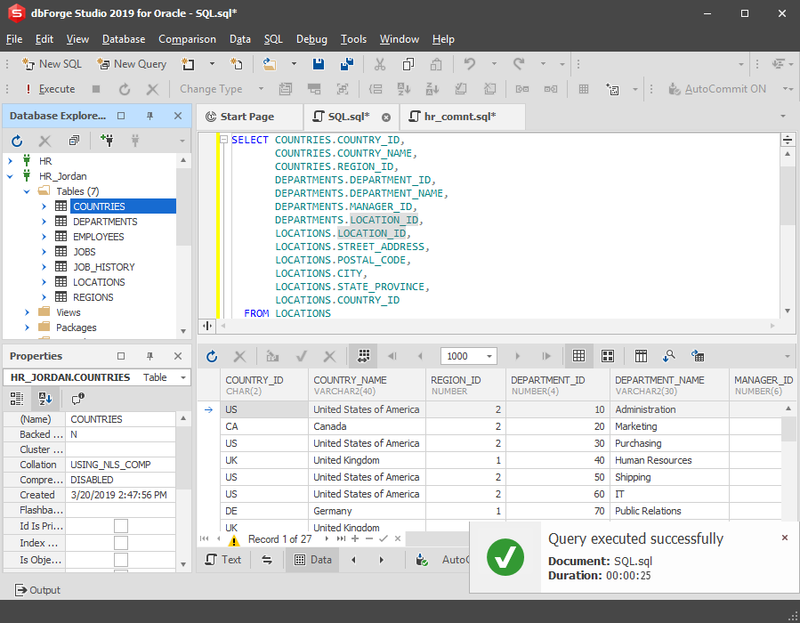 Experience dbForge Studio for Oracle’s updated look with the new skin we introduced in version 4.1. This makes working with the Studio even more visually pleasant and provides improved user experience. 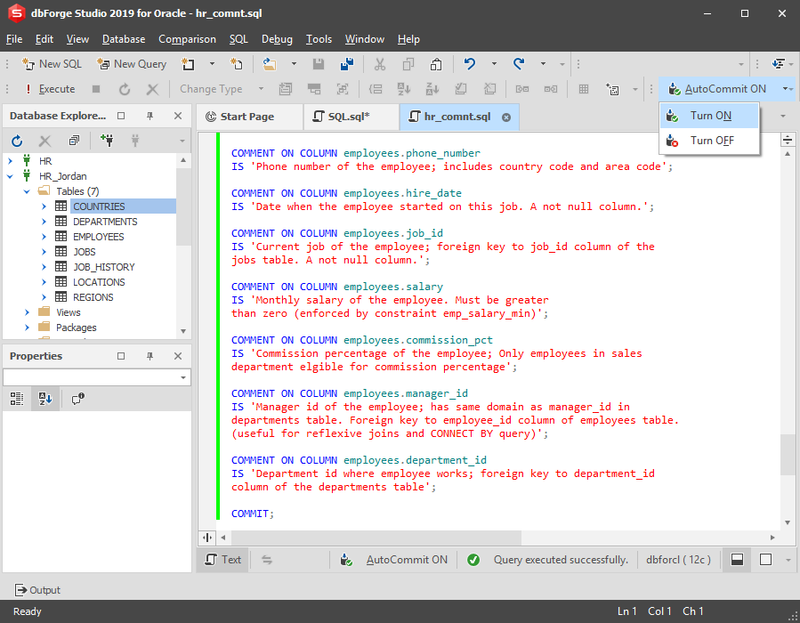 As we’re always trying to stay up-to-date with developments in technology, our new dbForge Studio for Oracle version will fully support Oracle 19c, which builds and improves upon previous developments in Oracle and provides robust cloud-related functionality. 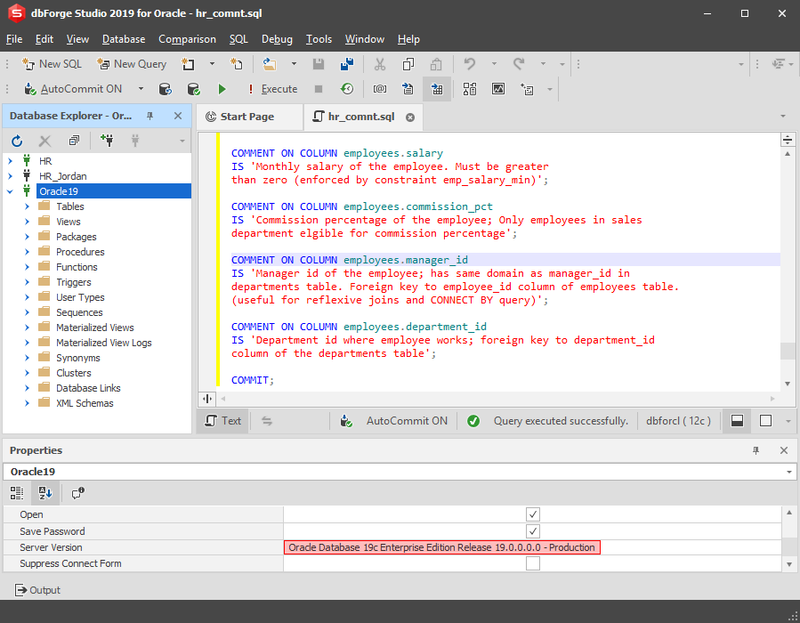 In dbForge Studio for Oracle 4.1, we introduced the AutoCommit mode. Its primary purpose is to help you automate the work process by automatically committing recent changes in your documents. This mode can be easily toggled and fine-tuned in the settings. You can also see if AutoCommit is turned on for the current document in its status bar. We have found a way to utilize new efficient algorithms in the schema comparison process. This results in dbForge Studio for Oracle’s drastic improvements in resource efficiency and general performance. With our new notification system, you can quickly and conveniently get information about the status of recently performed queries and uncommitted transactions. You can change the notification duration and other settings in the corresponding menu. Feel free to download the new version and see the new features in action! We’re always working on enhancing the Studio’s functionality and allowing you to have the best experience possible while working with it, so any feedback is highly appreciated. 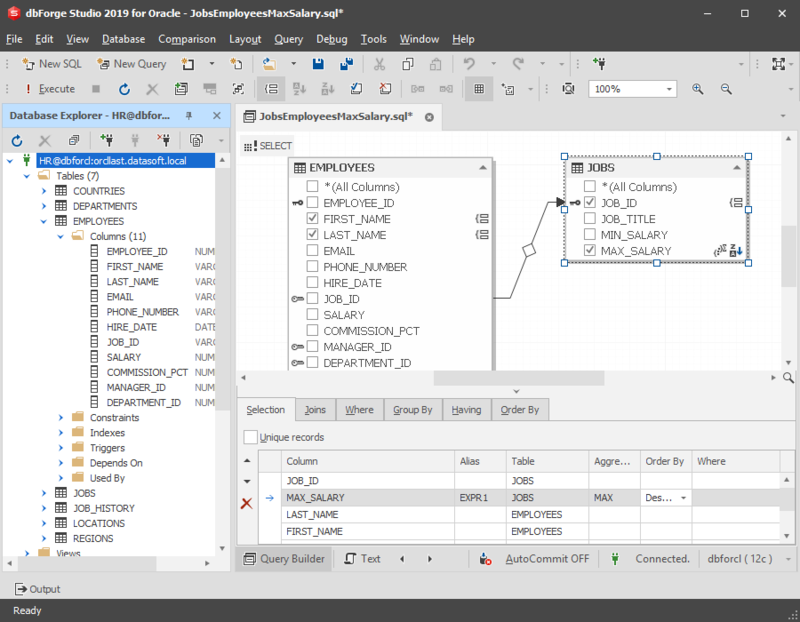 Feel free to share you thoughts with us and help us improve future dbForge Studio for Oracle releases.